With a nice 2-1 evening, the once-slumping guru has now covered 5 of 7 and realized it’s time to put the mail-order Russian & midgets to bed and go lookin’ for frickin’ caviar! Just like the Energizer Bunny and a business-man alone in a hotel-room watching a double-feature…I keep going, and going, and going. Even when I was in the midst of my ATS-nightmare, I simply put on the blinders and took the Roger Clemens approach…you know, no matter what you did in the past, if you keep telling yourself your not that bad you may actually start to believe it! 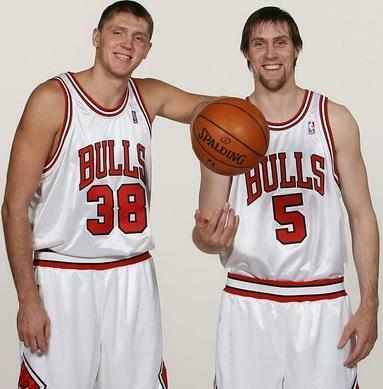 If only Aaron Gray was in the picture...then I'd have all three of Paxson's dominate post players! As for another embarrassment on the hardwood for the Bulls, I’m amazed Johnny Pax didn’t see this coming from miles away. In a league that sees team’s on-the-rise adjust their styles and add weapons each season, the Bulls continue to ignore their low-post deficiencies, and believe their undersized backcourt is better than advertised. Paxson has plenty of young assets that teams would jump at and needs to use them to revamp the roster…which I will dissect tomorrow and show you how easy things would be if GM Greggy G was running things at the United Center. Take it light Homeboys...wait, I almost forgot, while it's not on my picks...I luv teasing the Longhorns (+3.5) in the Bowl game with Suns (-4) at the Clippers! 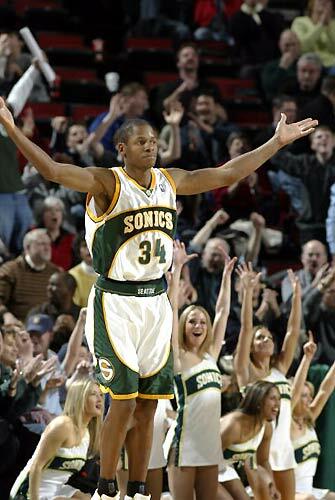 U think Shuttlesworth wants to put-on a show for his old fans? Even if Ray-Ray gets a cold-reception, I think the Celts roll! Just like a pair of jeans, Nash will do what it takes to fit it in! The Broncs star has sooo much upside! This page contains a single article from December 27, 2007 11:18 AM.